Jittabugs Theatre School offers Dance, Drama and Singing classes for children aged 18 months -16 years. 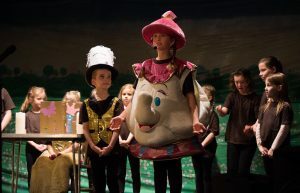 Whether your child is looking to have a career in performing arts or if they simply want to attend classes for enjoyment and exercise; Jittabugs Theatre School could be perfect for them! We provide Dance, Drama and Singing classes for children from school age upwards. In addition, some tutors also offer Pre-School Ballet & Boogie, and Jazz and Boogie. Jittabugs Theatre School (JTS) aims to provide quality dance, drama and singing classes for children interested in the performing arts. Classes will help children develop in their vocal, dance and acting ability, but above all JTS children will gain confidence have FUN! Whilst we teach children various valuable skills in performing arts, our key focus is to encourage creativity, self-expression and imagination. Jittabugs Theatre School offers dance, drama and singing classes for children aged 18 months-16 years and is the sister company of the award winning company Jittabugs. Caroline Ashworth founded Jittabugs in 2008, after having trained and worked as a professional performer. She gained a Btec national Diploma in Performing Arts and then a Diploma in Dance & Drama at The Merseyside Dance & Drama Centre. Having gained her dance teacher qualifications, Caroline therefore enjoyed an exciting career in the arts working on TV, Theatre, Theme Parks, Holiday Centre’s and Hotels. As a result of gaining this knowledge and experience, she consequently decided to open a theatre school which won her an award with the Princes Trust. In June 2008 Caroline became a mummy and opened up Jittabugs Pre-School Activities & Dance. Children are now enjoying Jittabugs classes across the UK and even in Sri Lanka. In 2015 Caroline launched Jittabugs Theatre School (JTS). Those who attend JTS classes are able to enjoy them from 18 months up to 16 years and we welcome children from all kind of backgrounds, including those with physical disabilities. All of our classes are led by teachers who come from a performing arts background. In addition, the school is also available as a franchise, so if you have a background in performing arts you could even run your own Jittabugs Theatre School! 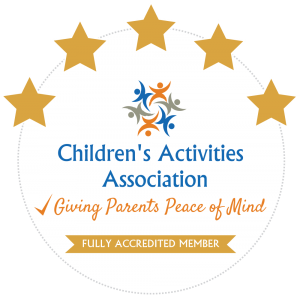 Proud to be GOLD members of The Children’s Activity Association. Jittabugs Theatre School currently operates at Taunton Head Office, Taunton & Wellington, Brighton and Hove and Shoreham. Due to increasing popularity, we are adding new locations all the time. Are you interested in running a Jittabugs Theatre School franchise? Do you have experience working in or have trained in the performing arts? Would you enjoy inspiring children in dance, drama or singing? If so then maybe you should take a look at our Franchise section. Applying to own your own Jittabugs Theatre School in your area could be the first steps you take into running your own business, and enjoying an active and rewarding career.